“It’s fashion,” says designer Nasir Mazhar of his work, seated behind a rather grandiose desk in his east London studio. “But the minute people see black or non-white models and casual silhouettes, they think it’s streetwear.” While he may be known for his elaborate, logo-covered tracksuits, to label Mazhar’s designs as “streetwear” is to do him a disservice. Despite – or perhaps because of – its use as a handy catch-all trotted out by critics season after season, the term has become redundant and, according to men’s fashion critic of the Financial Times Charlie Porter last year, “demeaning to (London’s) young designers” – Mazhar included. “Streetwear” does little to describe the Turkish-Cypriot designer’s approach to fashion which, although laden with references to British urban music scenes garage, grime and dancehall, borders on couture in its execution. “Quality chillwear, protective roadwear and smartened clubwear” is how he described his AW15 collection – a far more nuanced description than simply “streetwear”. Since launching his namesake label in 2008, Mazhar has brought a unique aesthetic to the London runways, reworking the familiar – think noughties logomania and working class status symbol tracksuits – in a new, innovative way. He’s gained a cult following in the process, counting Skepta, Rihanna and Dazed’s Winter 2015 cover star Tinashe as fans. Now, in the wake of the launch of his e-shop, Mazhar has unveiled his AW16 collection at London Collections: Men. With grime MC Novelist sat on the front row and the sound of “Freakshow” by Mr. G reverberating throughout the showspace, Mazhar’s AW16 model army stomped down the catwalk in gothic New Rock boots. This season the designer says his collection was about “trying to break free from the restrictions created by working on seasonal collections...remembering what it feels like to be a carefree artist” and returning to his “non-commercial, purely creative beginnings”. While the collection flowed – thanks to the all-black colour palette – each look was treated as a separate entity, meaning that the show was something akin to a “best of”. From a tracksuit made from a ruched fabric, to a suit worn with a strap vest instead of a waistcoat and the headwear, crafted from real-life buckets with fabric wrapped turban-like around them, these were new spins on Mazhar’s old classics. 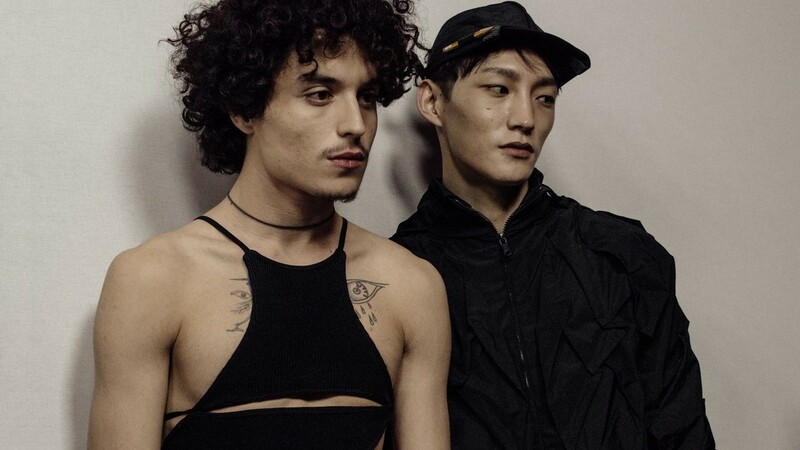 While some male models and their attire represented a hardened masculinity, others did the opposite; dressed in tight crop tops, lace-side trousers and, in one case, a pair of tracksuit bottoms slung low revealing a thong. Bringing together multiple gender tropes, cuts and silhouettes, the collection demonstrated the breadth of his design vocabulary: this was Mazhar operating at his best, and creatively at his purest. Born in east London and raised in Leytonstone, Mazhar’s entry into fashion wasn’t planned, or indeed conventional. “I wanted to make suits of armour,” he says, speaking on his original career plan, “I found these places, somewhere in Middle England, where you just go and train and work with a real armourer. I thought maybe I’ll do that.” His older brother introduced him to style, by way of his own wardrobe: adidas and Nike tracksuits for dressing down and Levi’s 501s, Ben Sherman shirts and “nice, clean Reebok classics” for dressing up. As for “fashion”, that introduction came not via Vogue, but rather Vidal Sassoon where he did an apprenticeship during his late teens. Working at the hair salon opened him up to a new world: the world of Alexander McQueen, Hussein Chalayan and John Galliano. From there, he went on to work with Mark Wheeler, a theatrical designer, for two years. Wheeler was, according to Mazhar, predominantly a hat maker. “He’d sit at a table opposite me and I’d sit at my own little table,” he says, “And he’d be sculpting crazy chicken heads or dragon heads or swan heads.” While imitation animal heads didn’t remain in Mazhar’s design vocabulary, millinery more generally, along with a heavily imbued sense of craftsmanship did. Shortly afterwards he started making hats for a friend’s club night and, some time later, was introduced to Mandi Lennard, fashion PR and the founder of Mandi’s Basement, who started to represent him. However, unlike most designers showing on the official schedule, Mazhar didn’t (and still doesn’t) have a degree from a prestigious fashion school to his name. Far from hindering him, the designer’s lack of formal training has, in hindsight, probably been a help. “He can be more free to make it what he wants it to be,”’ says founder and director of Fashion East (non-profit initiative that champions young designers) Lulu Kennedy. “He hasn’t got the baggage that comes with most designers. It’s genius that he started off in hairdressing and now has a full on fashion brand.” Ten collections later, he’s still known for his headwear – namely his highly original ‘Bully’ cap, fitted with a pencil holder – and he’s stocked in stores around the world: MACHINE-A, Primitive and Selfridges in London and a slew of other boutiques around the world. It’s hard to discuss Mazhar without reference to his relationship to grime – a genre which emerged in east London in the late 90s and early 00s and is currently experiencing something of a revival, led by the likes of Skepta, JME, Section Boyz, Novelist, Frisco and Stormzy. 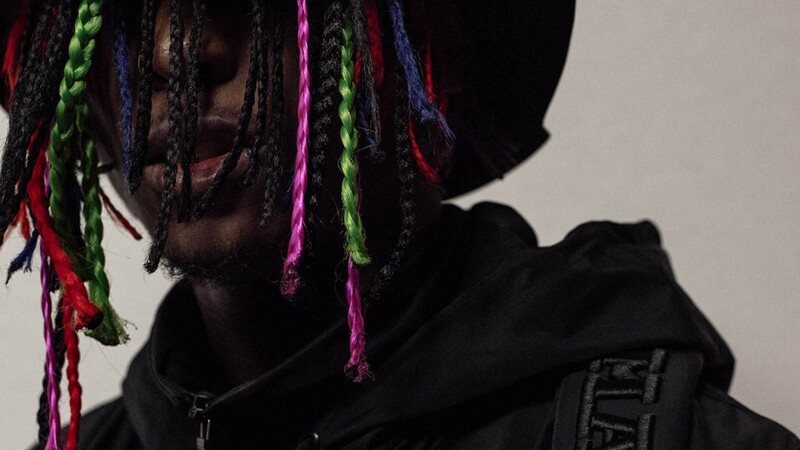 Far from being trite or appropriative, his reference to grime stems from a longterm love affair with the genre and an intimate involvement with the scene – one that far precedes its revival. Like Vivienne Westwood’s entanglement with London’s 70s punk scene, Mazhar’s relationship to grime is equally intimate. He’s collaborated with members of the scene, designing stage costumes for them, enlisting them to walk in his shows and perform at his after parties. 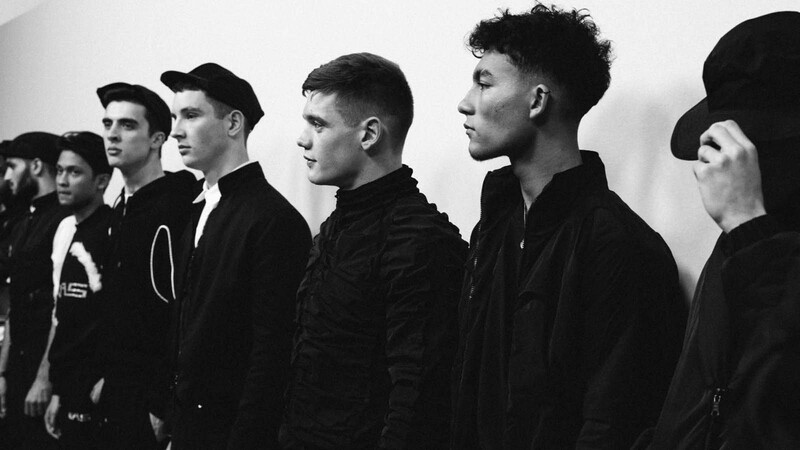 Aside from grime MCs, Mazhar usually enlists street-cast models to walk in his shows. For the past few seasons, he’s taken to Instagram to find these models, inviting people to submit pictures. “We are looking for all ethnicities,” reads the caption to his most recent ‘casting call’ post. Unlike the white-washed runways of many designers, Mazhar’s are genuinely diverse, featuring models from a range of ethnicities and so reflecting the population of London – only 44.9 per cent of which is white British. “It needs to be a good mix, a diverse mix of people,” he explains. “Sometimes there’s no one to associate yourself to, and that’s really unhealthy. People should be able to aspire to think, ‘I could be a model one day!’” The idea of aspiration is key to Mazhar’s approach to fashion. “Every single boy and girl wants to be a Nasir boy or a Nasir girl,” says Stavros Karelis, founder and buying director of MACHINE-A, one of the first retail establishments to stock the designer. While it alludes categorisation, Mazhar’s work captures London in its truest and arguably, rawest form. He’s pioneered a new aesthetic and a new approach to casting, both of which have had a profound influence on the fashion industry. 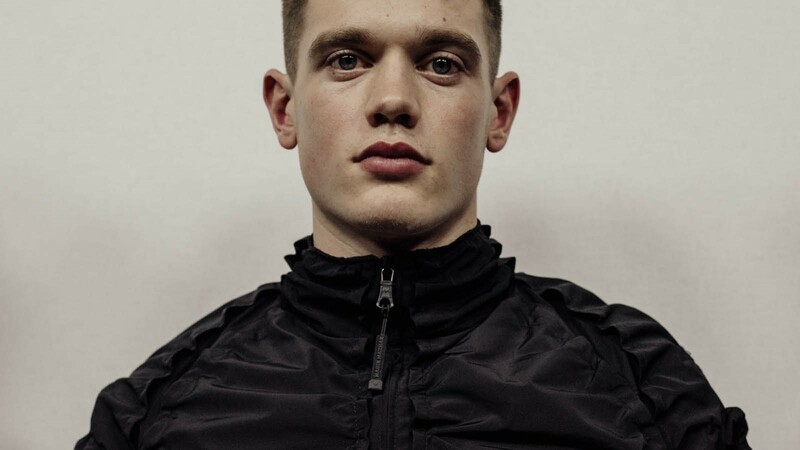 “He is one of the cornerstones of London menswear,” says editor of GQ and chair of London Collections: Men, Dylan Jones and “the very definition of a local fashion hero” according to editor-at-large of The Business of Fashion, Tim Blanks. “I want to provide a product that speaks to a generation of people, a product that ultimately makes people look better,” Mazhar says, when asked what drives him as a designer. “I want to actually make a difference to the way we look, the way we dress, the way we see style.” With this clear-cut agenda and armed with a confident attitude, Mazhar is well on the way to doing just that.